UMR Engines can service & Repair your vehicle to the manufacturer’s requirements. Log Book stamped for service records while maintaining your vehicle’s manufacturer’s statutory warranty. We service and repair all makes and models, including Petrol or Diesel vehicles. Four wheel drives or Front Wheel Drive models are no problem, With 13 vehicle hoists, we can service your vehicle even while you wait. UMR Engines has been servicing the automotive industry for over 40 years, We are an RACQ recommended approved repairer. 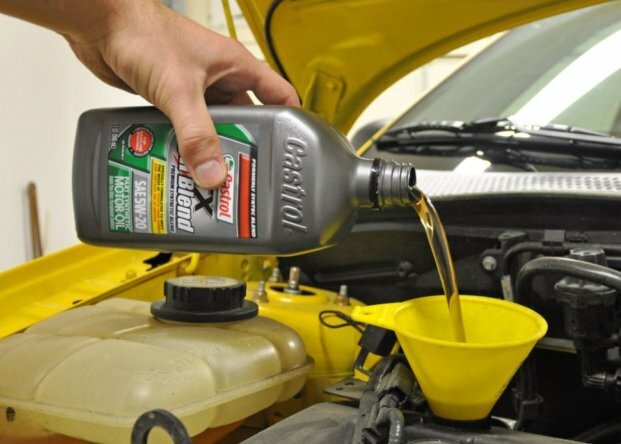 A typical general, lube or minor service includes, Initial road-test to determine how your vehicle performs. Brake test & handbrake check, check lights, wipers, washers and horn, Change you engine oil & filter, check or replace your air filter, check cooling system hoses & condition, check quality of radiator coolant, pressure test cooling system to check for any water leaks. Inspect all tyre/s & pressures, check suspension and steering, Check all fluid levels: Gear box oil, diff, test brake fluid, power steering fluid etc. Load test your battery, lube doors, bonnet catch etc. Tyre shine your tyres. Replace service sticker and carry out a final road-test. We then carry out a written report. The whole idea of servicing your vehicle is to ensure trouble free motoring between servicing schedules and to have minor issues corrected before your vehicle requires major repairs. Because we do not just work on late model vehicles, and only care about changing your oil & filter, we service a vehicle keeping in mind your long term safety and trouble free motoring. Over 40 years experience servicing vehicles from all over Brisbane. UMR Engines Slacks Creek can test the injectors and record the flow rates and performance patterns. We strip and clean the injectors externally. The injectors are then placed in a heated ultra sonic bath for internal cleaning. 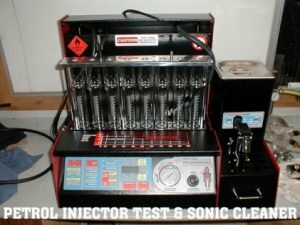 The injectors are rechecked for performance and spray pattern. New o’rings, filter baskets and pintle caps are refitted. The injectors are repainted externally to inhibit external rust. This service ensures your injectors will deliver good fuel economy and high performance. We also have a fitting service, We recommend to change your fuel filter when reconditioning or replacing your injectors.